Everyday Nothings: HotTub? yes, please! I'm telling you, my kid is a total water bug. Give her water, and she's happy. 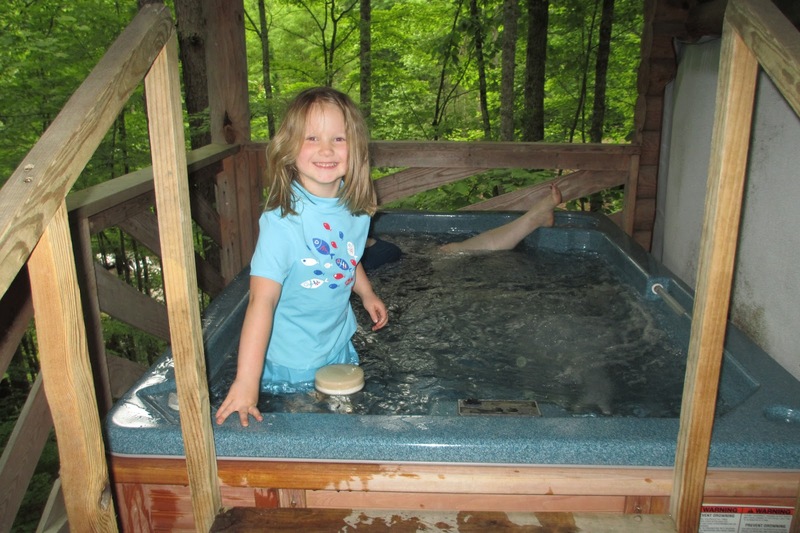 *note* yes, we turned the heat way down, and yes, she was never in there unless another adult was there too, and yes, you do have to explain to a 4-yr-old that hot tubs are for relaxing, not fun, so please stop doing cannonballs so Mamaw can relax.